In this corporate era the scope for production design is truly enormous. Though it is always advisable to spend a certain period as an associate with an expert professional to gain practical experiences before joining the industry as a whole-timer, still it takes comparatively lesser time to gain a foothold in this profession. 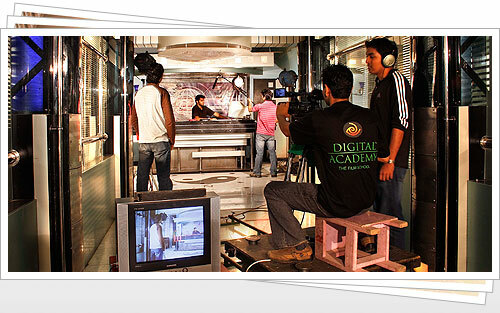 Beside the usual domain of feature films, TV serials, ad films and music videos, nowadays the events like talk shows, game shows or reality shows in TV industry have consequently opened up newer horizons to explore for the production designers. Probably the time is not very far when the TV channels will start vying with each other for a better production designer to obtain the cutting edge regarding the look in their programs. It has became already a reality readily accepted in the corporate world that events like product launching, award show or theme parties cannot take place without proper involvements from the production designers. These days, because of their visual acumen, even in the diverse fields like constructing theme parks, put up pavilions or creating theme-based décor in hotel interiors, production designers are a much sought after lot.